Moi's Bridge is just one area in Kenya that is experiencing problems caused by lawless individuals. The people of the towns affected are registering their protests with the authorities. sadly in the unrest people have been murdered. one of our night watchmen was shot and killed in December. Fortunately other people on the school site, including Pastor Maurice who runs the project for A2A and was the founder of the school, were unharmed. Despite this the school goes from strength to strength.  it provides children with an excellent education. we celebrate the success of Grade 8 children who passed their national examinations. 4 of them were girls living in the children's home. those four now have places at secondary school. Two funded by A2A, one by the church and the other by a local well wisher who felt drawn to support our work. 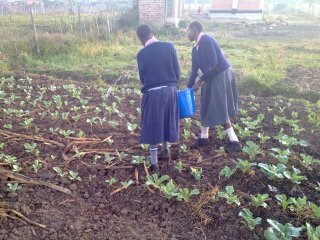 We have increased the amount of land under cultivation as part of the sustainability of the school and children's home. the income from last years harvest is due into the account about now. it will cover more than 1/5 of the basic running costs for 12 months. This, despite serious increases in the cost of food and a national pay rise for staff working in schools. Ilmington Church of England Primary School is linked with All Saints Church of England Primary School in Coventry. They decided to also use the link to our school in Kenya to enhance the pupils understanding of other countries and cultures. 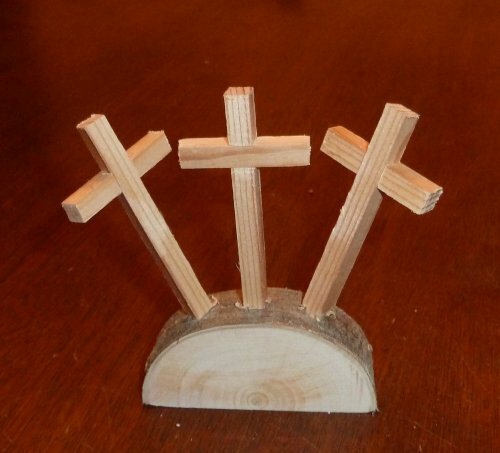 The junior classes are going to raise funds by making Calvary Crosses like the one shown above. they intend selling these to raise money for our school in Kenya. if you would like more information about the activity please contact peter@aid2africa.co.uk . 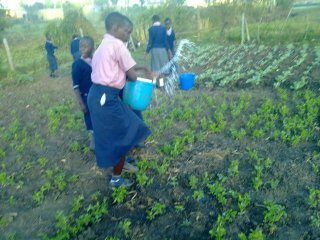 The children tending plants they are growing to help supplement the food they eat each day. The original funding for this initiative came from All Saints Church of England Primary School in Coventry. According to Pastor Maurice they have planted Kale and also small portions for Cowpeas, Spider flower and pumpkins.